Sophie Turner attends the premiere of HBO's "Game Of Thrones" Season 6 at TCL Chinese Theatre on April 10, 2016, in Hollywood, California. 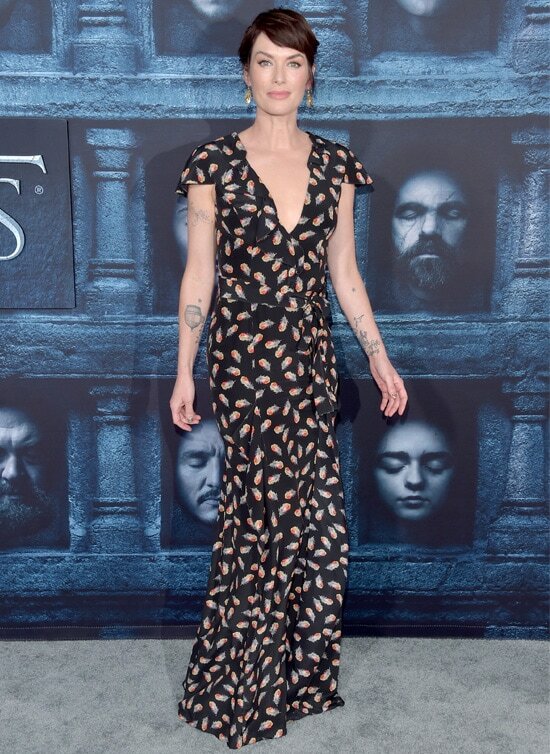 Lena Headey attends the Season 6 premiere for "Game of Thrones" in Los Angeles. Peter Dinklage and Erica Schmidt attend the Season 6 premiere for "Game of Thrones" in Los Angeles. Nathalie Emmanuel attends the Season 6 premiere for "Game of Thrones" in Los Angeles. Actress Maisie Williams attends the Season 6 premiere for "Game of Thrones" in Los Angeles. Actor Nikolaj Coster-Waldau attends the Season 6 premiere for "Game of Thrones" in Los Angeles. Emilia Clarke attends the Season 6 premiere for "Game of Thrones" in Los Angeles. Actress Regina King attends the Season 6 premiere for "Game of Thrones" in Los Angeles. 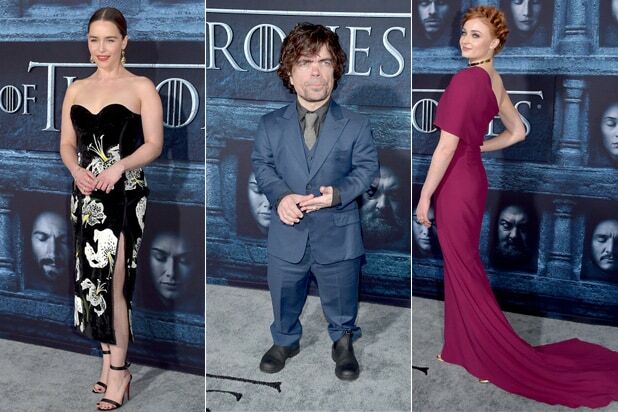 "Silicon Valley" stars Emily V. Gordon, Kumail Nanjiani, Thomas Middleditch and Mollie Gates attend the premiere of HBO's "Game of Thrones" Season 6. Faye Dunaway attends the Season 6 premiere for "Game of Thrones" in Los Angeles. "It's Always Sunny in Philadelphia" stars Rob McElhenney, Charlie Day and Glenn Howerton attend the Season 6 premiere for "Game of Thrones" in Los Angeles. Actress Amy Brenneman attends the Season 6 premiere for "Game of Thrones" in Los Angeles. Actor Michiel Huisman attends the premiere of HBO's "Game of Thrones" Season 6. Actors Finn Jones and Gethin Anthony attend the Season 6 premiere for "Game of Thrones" in Los Angeles. Actor Liam Cunningham at the Season 6 premiere for "Game of Thrones" in Los Angeles. Actor Dean-Charles Chapman attends the Season 6 premiere for "Game of Thrones" in Los Angeles. Actress Lilakoi Moon, f.k.a. Lisa Bonet, attends the premiere of HBO's "Game of Thrones" Season 6 at TCL Chinese Theatre on April 10, 2016 in Hollywood, California. Actress Amanda Peet and writer David Benioff attend the premiere of "Game of Thrones" Season 6 at TCL Chinese Theatre on April 10, 2016 in Hollywood, California. John Bradley attends the Season 6 premiere for "Game of Thrones" in Los Angeles.